Young, ambitious and bold. 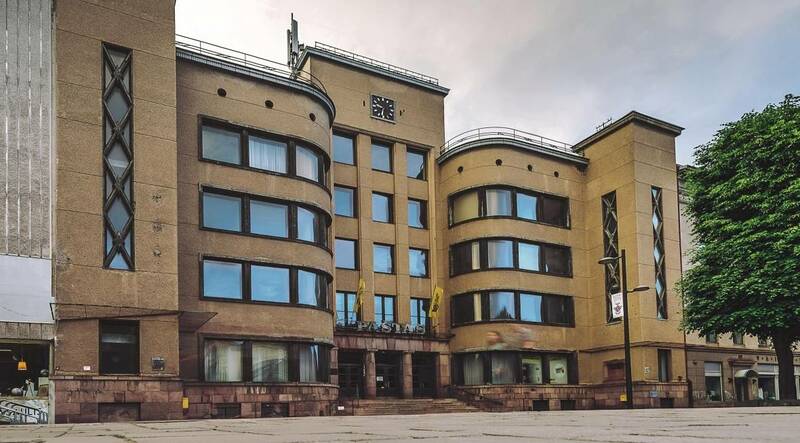 Such were Lithuanian interwar architects. They studied in the large cities of Europe and brought the ideas of Modernism, which spread throughout Europe after World War I, to Lithuania. They combined them with Lithuanian tradition and the typical lifestyle of Lithuanians and created a very distinctive school of architecture. The time was particularly suitable for these experiments – Kaunas became the temporary capital of Lithuania; it was full of political, cultural, economic life, and constructions rapidly changed one another. The spirit of interwar architecture was miraculously preserved in the then exteriors and interiors, and today surprises by modern and contemporary forms. The value of Kaunas Modernism is created not only by buildings, but also by stories and people. This is why all this today attracts not only the connoisseurs of architecture, but also everyone who wish to learn the history of the city and the country. It is one of the major highlights of Kaunas Modernism. A combination of modernity and nationality. 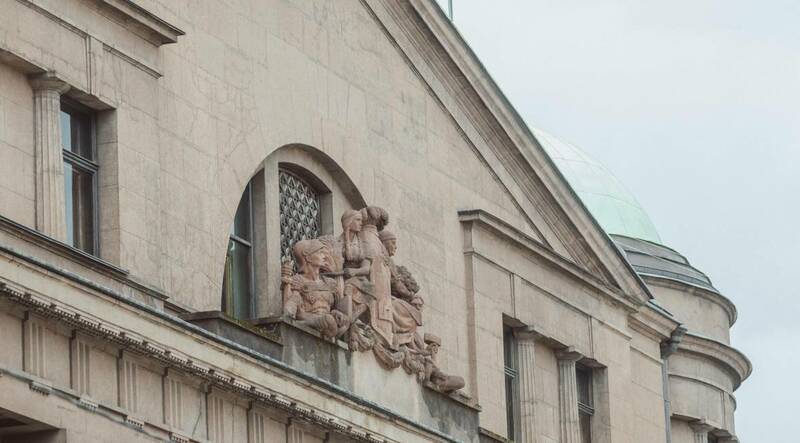 A multi-storey building with modern lifts, showers for employees, an electric clock installed in the facade and abundantly decorated works of the then most famous Lithuanian painters. The building was designed by architect Feliksas Vizbaras. Today it is hard to imagine Freedom Avenue (Laisvės alėja) in Kaunas without the multifunctional building designed by architects Vytautas Landsbergis-Žemkalnis and Karolis Reisonas. 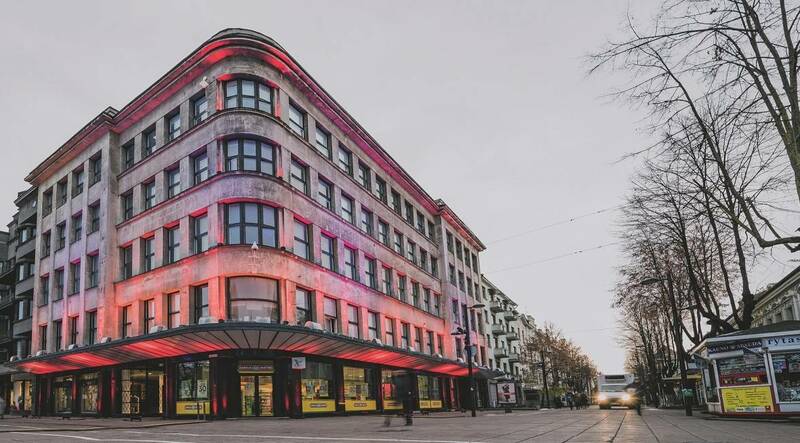 In the past, the shop of “Pieno centras” and the canteen were opened here, the ladies and gentlemen of Kaunas used to visit the best hairdressers’, and modern apartments were equipped on the third floor. 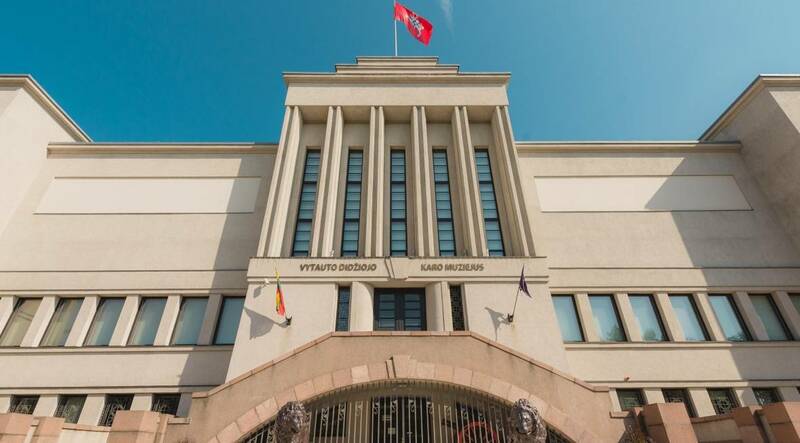 In 1937, the design of Kaunas architects was awarded a bronze medal in the international exhibition in Paris. The building was built for representation purposes. It is one of the most significant buildings of interwar architecture, and its design was selected from among 30 submitted applications. A decorative exterior and a particularly modern interior – architects planned ventilation and lighting systems with regard to the latest trends in technology. War and occupation showed no mercy for the new and modern building – a field hospital was established in this building, the symbols of statehood were painted over with floor paint, stained-glass was broken, and bas-reliefs were stolen. The Officers’ Palace was again brought to life only with the start of the Reform Movement of Lithuania. In 1930, when the first stone of Vytautas Magnus War Museum was laid in Kaunas, everybody talked that architects Vladimiras Dubeneckis, Karolis Reisonas and Kazys Kriščiukaitis were building a monument to Lithuania’s Independence. The museum very clearly represents the key feature of interwar architecture – a harmonious combination of modernity and tradition. A unique garden space with the eternal flame burning and the bells is established nearby. 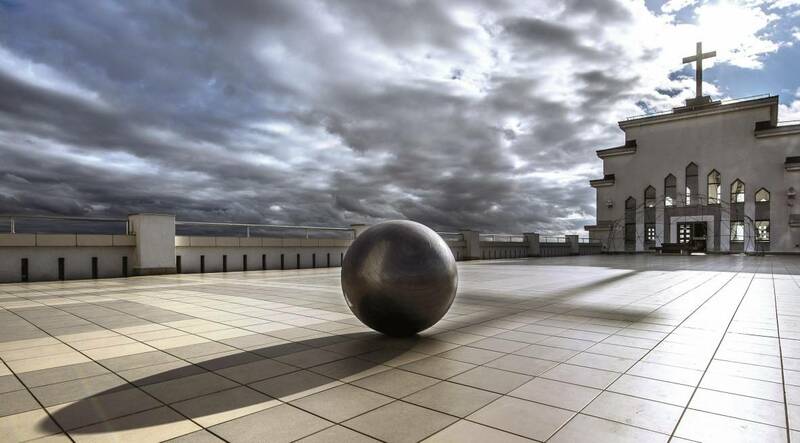 It is one of the most beautiful, luxurious and significant Modernist buildings across Lithuania. Transaction rooms are on the ground floor and safes with security cameras, installed by Englishmen, are in the cellar. A modern contemporary electric lift, mechanical heating and marble decorated luxurious interior, marble columns, ornate chandeliers, specially designed furniture, artists’ paintings and stained-glass – all this created an unseen interior keeping abreast with the trendiest architectural buildings worldwide. This modern church had to provide character to the city of Kaunas, similarly to the Eiffel Tower providing character to Paris. The ambitious project remained unaccomplished, builders failed to complete the church prior to the Soviet occupation, and the congregation could enter it only after independence was restored. 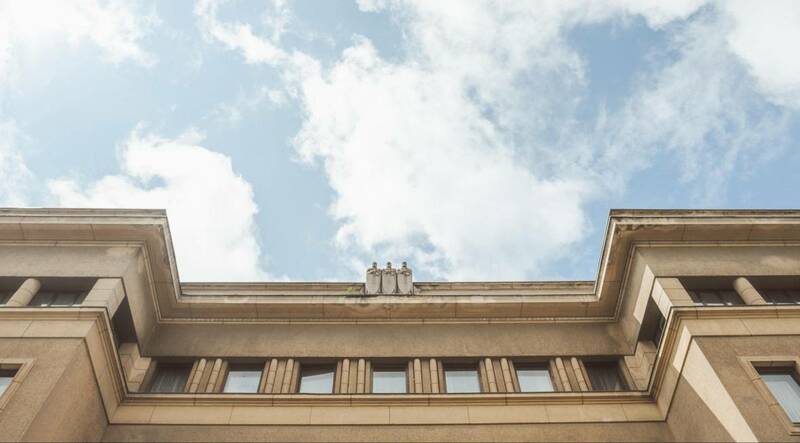 A modern and innovative Office of the Bank of Lithuania in Kaunas gave a new start for the construction of new bank buildings in smaller towns. 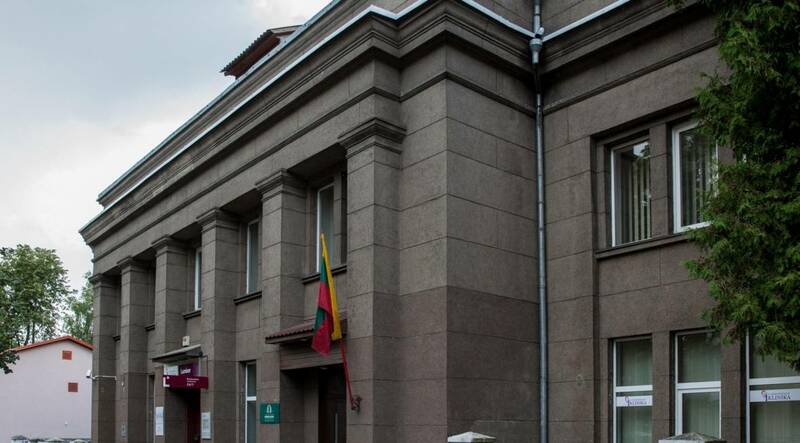 The architect of the Office of the Bank of Lithuania, Professor Mykolas Songaila, seems to have been loaded with work. He designed new bank buildings in Panevėžys, Kėdainiai, and Mažeikiai. A similar building, although not that luxurious, was built in Raseiniai. Its ground floor contains a transaction hall, whereas the first floor has residential apartments. When you reach Marijampolė by train, you must necessarily stroll around the railway station. You will not find anything similar in Lithuania. 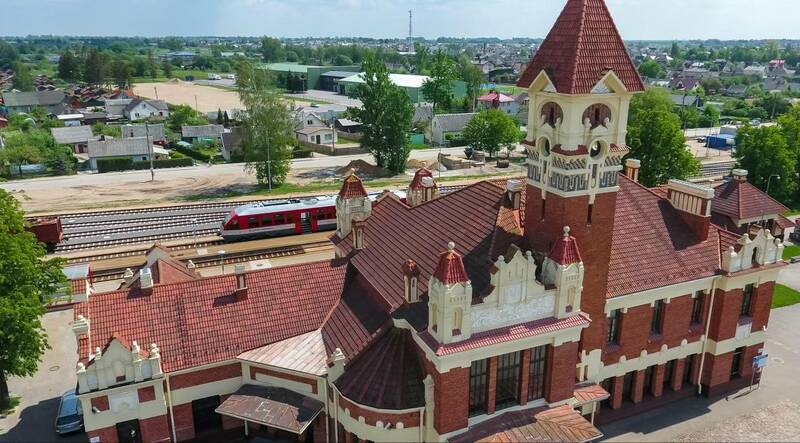 Originally decorated, adorned with a water-tower, Marijampolė Railway Station is one of the rare examples of Modernism in railway station construction. Almost the only similar interwar object – a railway station in Florence – was built by Italians at almost the same time.